Jane Scholl was trained at the Hampshire School alongside Sir Anthony Dowell, Maina Gielgud and Mrs Hampshire's daughter Susan, then The Royal Ballet School and The Rambert School. While in Paris she spent 10 years as principal choreographer to a local theatrical company. Her daughter joined West Berks Ballet School in 1989 and Jane became so enthused that she herself started taking classes again. She studied for and passed her Cecchetti Vocational examinations and is fully qualified with the Cecchetti Faculty of the ISTD. 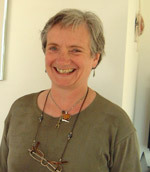 Jane has been Principal of WBBS since 2002. Cara Drower After 12 inspirational years teaching pupils of all ages at WBBS Cara has found her dream house by the seaside in Folkestone and will no longer be teaching those classes. Cara will concentrate on training future Cecchetti teachersworking towards their DDI and DDE qualifications . Cara was Head of Dance at The Arts Educational School, Tring Park for 18 years. She was on the faculty of The Royal Ballet School Teacher Training Course for 6 years. She is a Fellow of the Cecchetti Faculty of the ISTD, a major examiner, holds Maestro Cecchetti Final Diploma. And is a frequent guest teacher in the USA and Canada. Claire Bowden trained at WBBS for 14 years before continuing her studies at the London Studio Centre where she obtained BA (Hons) in Theatre Dance and gained a Diploma in Musical Theatre. Here, she also qualified as an ISTD teacher of both Modern and Tap dance, and was thrilled to return to the school in 2002 in order to introduce these new genres. Claire also teaches dance and extra-curricular modern and tap at Downe House in Cold Ash. She runs dance workshops in schools and regularly choreographs musicals and pantomimes for local dramatic societies. Holly Unnuk joined WBBS in 1993 at the age of 4 and her love of dance grew from there. At the age of 16 she went on to train at the Legat School of Dance and then completed her BA (Hons) in Dance Theatre at the Laban School of Contemporary Dance. Holly was a class assistant at WBBS for several years before she left for vocational training and we are thrilled to have her back 'home' !! She is now a fully qualified Cecchetti teacher. 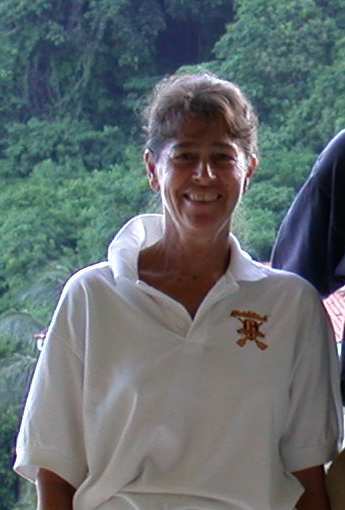 Alison Dos Santos began her association with WBBS in 2004, specifically to deliver the contextual modules of the FDI and CDE teaching qualifications of the ISTD. Alison began her ballet training in Southern Africa initially under Dawn Summerton and later studied the Cecchetti work under Gaynor Harris (Durban) (Capab). She performed with and directed a touring company C.A.S.T. that travelled extensively throughout Natal and the Transvaal. On returning to England she completed her teacher training to the level of CDE and Licentiate with Cara Drower. 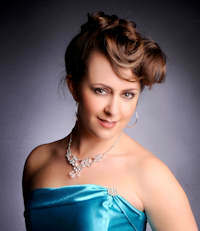 She now teaches in several schools in the London area including the Junior programme for the London Studio Centre. We are delighted that Lucie Dale will be joining the teaching faculty this summer. 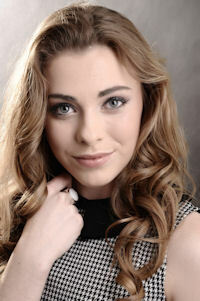 Lucie has been a student of WBBS for 15 years both in the ballet and modern & tap departments. Lucie has been a Cecchetti Senior Associate for many years and a teaching assistant for the Saturday pupils working with Holly, setting an inspirational example, which is vital for our smallest students. Lucie has 4 young siblings and is highly experienced in working with small children. This September Lucie will commence her Cecchetti teacher training with Cara Drower in London and we wish her every success. After playing the piano for WBBS for nearly 30 years, Martin retired at Christmas 2015 but he has promised to make regular visits and we know we can count on him to play for our important occasions in the future.